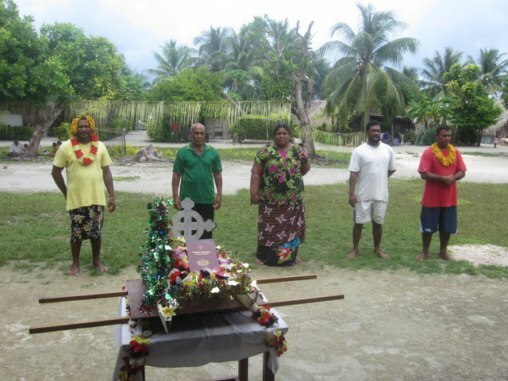 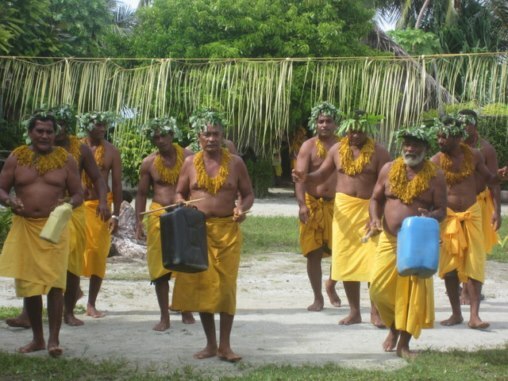 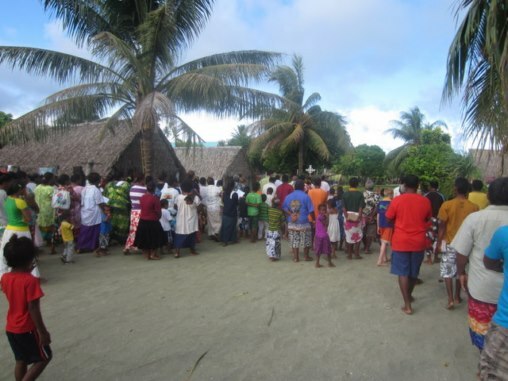 (February 2014) After the short report on the dedication of the Nukumanu New Testament, here is a photo impression of the dedication. It was a wonderful event, in which the Nukumanu people welcomed the Word in their own language with joy and gratitude. 4 am Sunday morning: ready to leave for Nukumanu. 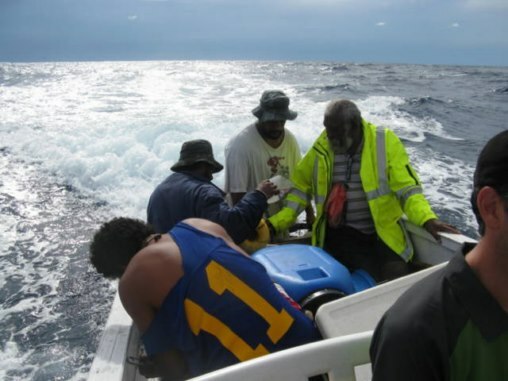 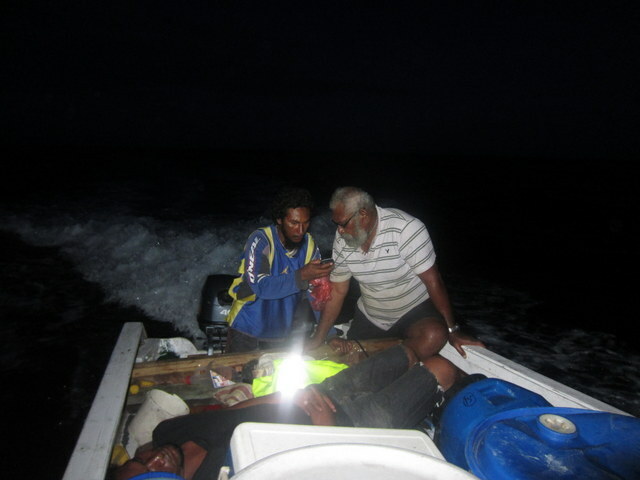 Captain Pakau (right) and his crew consulting the GPS: where is Nukumanu? 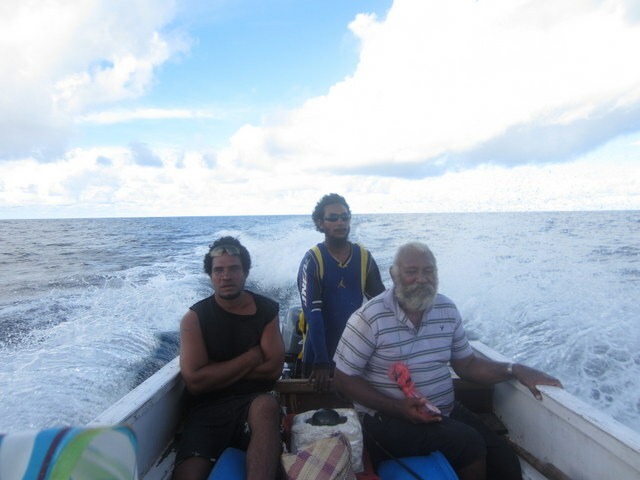 Malakai, Paul and Pakau, our trusted crew. 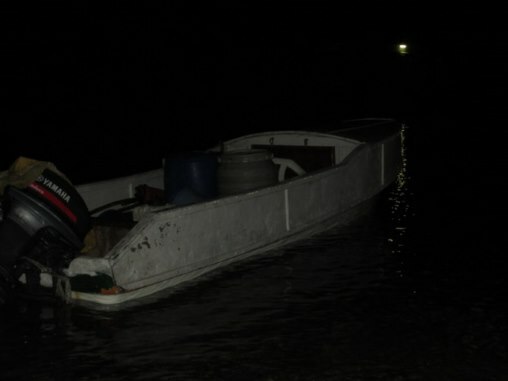 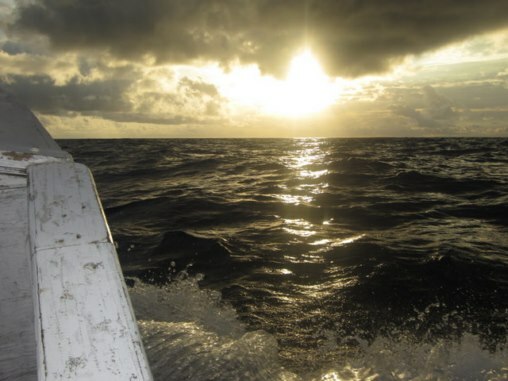 Re-fuelling in mid-ocean with the help of a Nukumanu passenger. Getting there: one of the islands of Nukumanu Atoll. 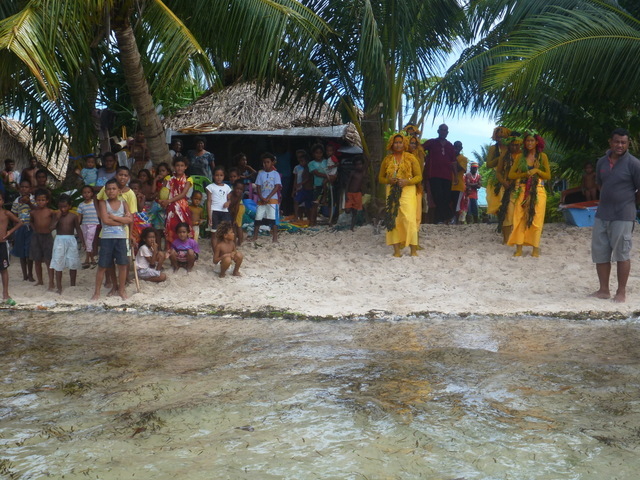 The welcome party on the beach waiting for the boat to bring the New Testaments and the visitors. Procession of the New Testaments and most of the population of Nukumanu to the Anglican Church building. 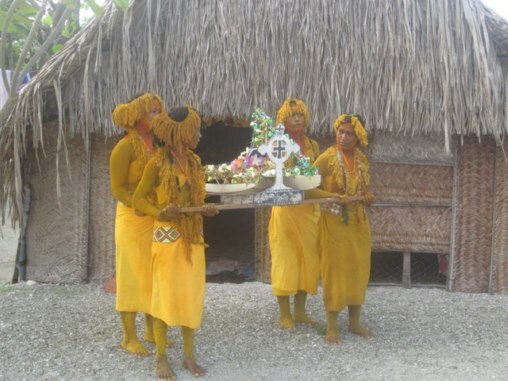 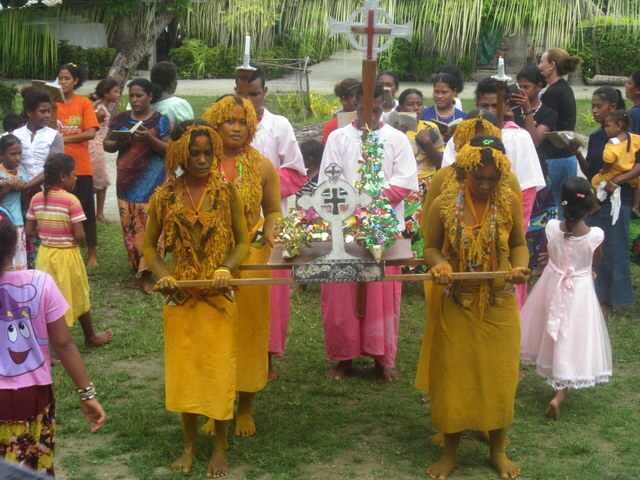 Young Nukumanu women carrying a traditional canoe with the New Testaments on it towards the church. 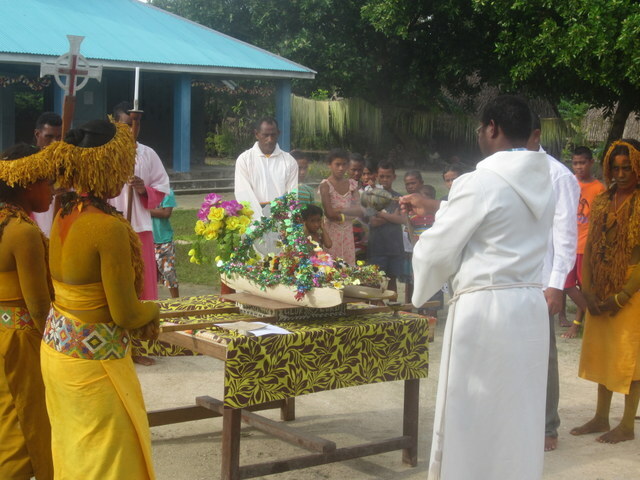 The canoe with New Testaments arrives at the church. Prayer of blessing by the Anglican priest. Edmond Teppuri, the main translator, reads the Gospel for the first time in the Nukumanu language. 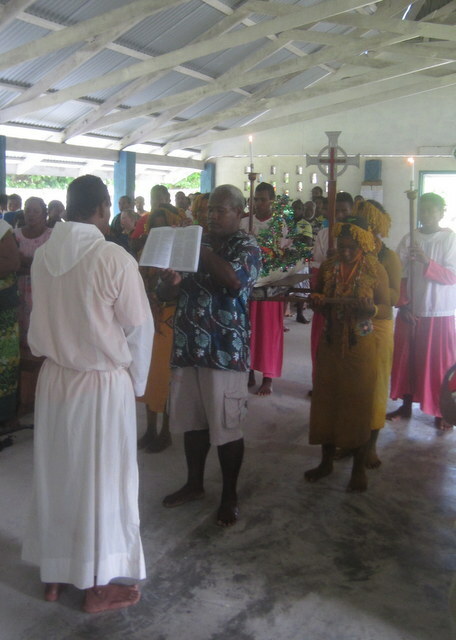 Religious and community leaders officially receive the New Testament. 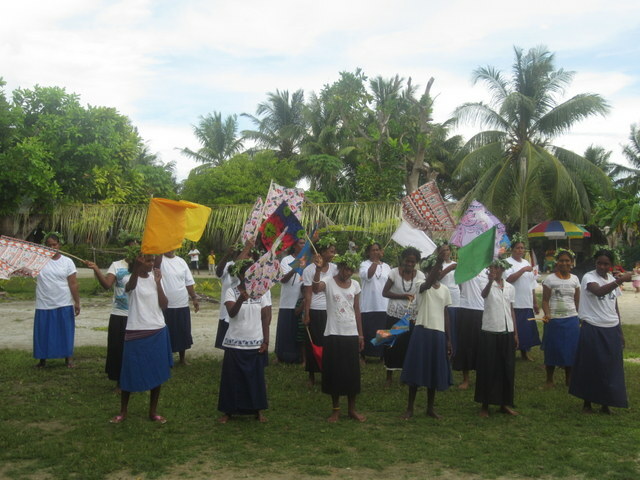 United Church youth group ready for their dance. 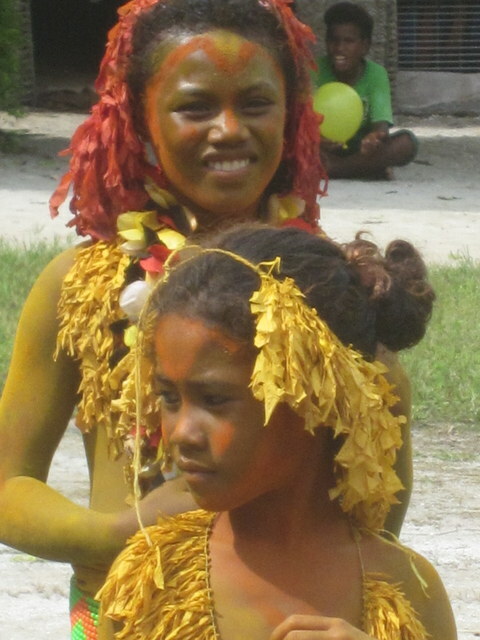 Young girls ready to dance, dressed up in typical Nukumanu style with lots of turmeric. The men ready for their dance. 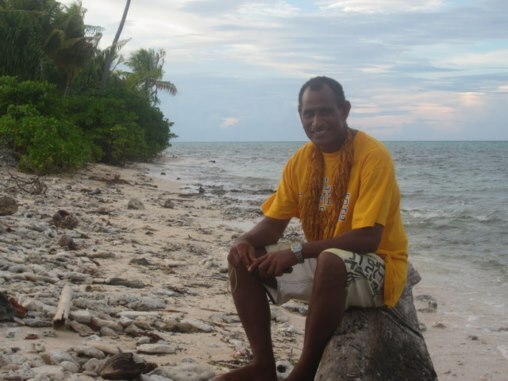 Edmond Teppuri resting after a busy but wonderful day. 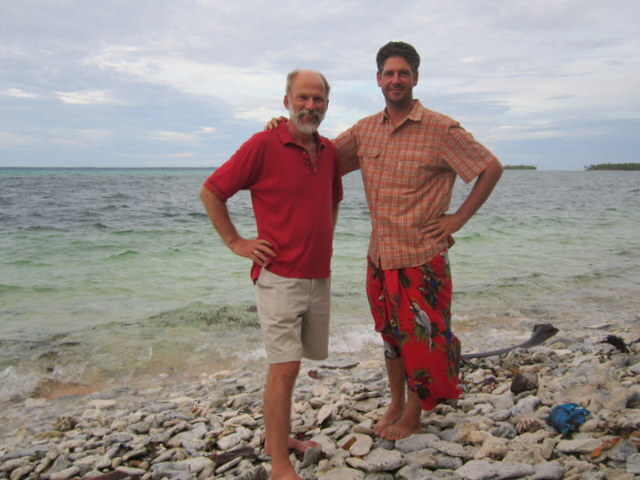 Nico and Josh on Nukumanu. 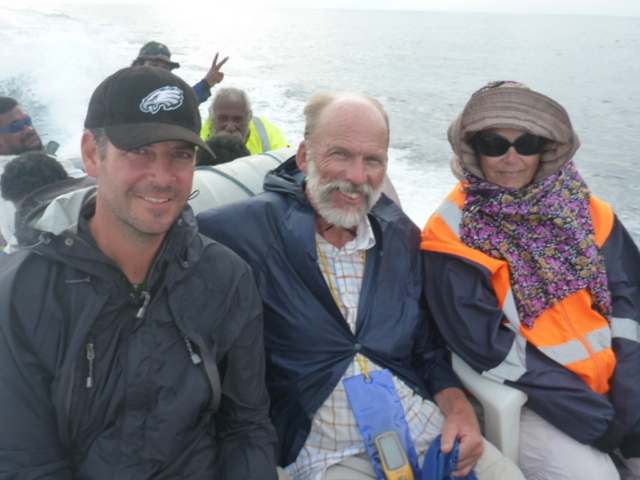 Josh Kitchen, Nico Daams and Sue Andersen on the last day of their travels.